Quick reads to keep you up-to-date on money matters. Who really wants to review the inventory of personal finances anyway? The festive season is almost here and it is time to celebrate. If this is somewhat close to how you go about your finances, you might want to rein in and hold on to your horses. When it comes to your money, it will be well worth your time and effort to re-evaluate where you are at. Just because something was good, doesn’t mean that it still is. Does it match your ever evolving lifestyle and goals? Listed below are some of the important personal finance items you should evaluate before the arrival of the festive season. It is good to take a look at your monthly spends vis-à-vis your budget through the course of this year. What categories have you spent more on? Use this information when you do your budgeting for the next month or year. Speaking of spending, does your account have enough to tide over the festive season expenses? To indulge? To buy gifts? To have fun? If it doesn’t, there isn’t a better time than now to rethink your spending patterns. The more you save, the more you can invest and greater will be the happiness you invite into your home. 20% of your take home is a great place to start. You can re-evaluate your investments in stocks and mutual funds, savings towards children’s education, wedding, retirement or even your slush fund to splurge for the season. Check to see if returns for the year are as you had anticipated, or if something needs tinkering, reallocation or balancing. If you want money to spare for the season, set a target first. If your goal is to buy that coveted gadget during the festival offer, then saving up the required amount should be your first goal. Then you can split it into smaller achievable goals. You tend to overlook this as premiums get paid automatically through ECS. Renewals too are easier with existing vendor than to spend time researching other options. Do you need more? Does the cover match your lifestyle and income? Review your health, auto, home insurance and life insurance policies. See if you can get a better deal. Even if you save a smaller amount, it is still better than saving none at all. Give yourself a gift by developing a new and improved spending habit. Ensure your credit limits on your credit cards are at manageable levels and freed up for your festival purchases. Request a credit limit increase, ensuring your current credit balances percentage is lower. This is one of the many factors to help maintain a healthy credit score. Having clarity on what you need to do, keeps you on the path to financial success. Now is a time as good as any to take charge of your finances. 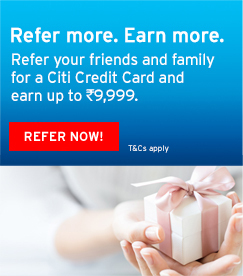 For more, visit Citi Help, the one - stop destination for all your queries. 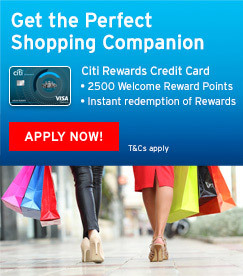 Citibank Personal Loans starting at 11.49%. Citi.com is the global source of information about and access to financial services provided by the Citigroup family of companies. Copyright © 2019 Citigroup Inc.